If you’ve used WordPress for a while, I’m sure someone has told you that you “shouldn’t use too many plugins”. It’s obvious – using too many plugins will slow your WordPress site down, right? But is that actually true? I mean, people tell me I shouldn’t swim after eating, but I’ve done that my whole life and I’m still alive and kicking! So is the common knowledge that “too many plugins is bad” good for WordPress? In this post, I’m going to attempt to answer that question. So, if your admin sidebar is bursting at the seams with links to plugin settings pages, join me on this adventure into the world of plugin collecting. Is Having Lots of Plugins Always Bad? Let’s start at the beginning. I’m not a developer, but in my reading, I’m fairly certain that I’m accurate in saying that there’s nothing inherently wrong with having lots of plugins. I mean, I remember reading somewhere that Pippin Williamson has over 80 plugins running on some of his sites! Pippin knows a thing or two about plugins, so I’m going to trust him on this one. In a perfect world populated with perfect developers, all plugins would be coded to the highest standards and constantly maintained. If we all lived there, we could pretty much install plugins until the cows came home. They once were great, but now they look like they’re straight out of a zombie movie. So even if plugins start off perfectly coded and optimized, two years without updates can easily change things. See, you can have 30 plugins making all kinds of minor tweaks. And maybe they result in almost zero hit to your site’s performance. But then you can have one plugin which tanks your site’s performance with heaps of database queries and HTTP requests. So 30 “small” plugins might well have a smaller effect on your site than one “big” plugin. I mean – look at it logically – why would you treat WooCommerce the same as the “Disable Emojis” plugin? Sure, each is “one” plugin, but WooCommerce creates a whole friggin’ eCommerce store while Disable Emojis just removes one line of code from your site. That’s why it’s silly to just look at the raw number of plugins you have installed. The real situation is more complicated than that. What Are the Practical Problems With Installing Lots of Plugins? Ok, I’m moving on from “perfect world” to “real world”. Because I think there are some real issues which might arise from telling people they’re free to install as many plugins as they’d like. These issues do not automatically come with installing lots of plugins, but I’m willing to bet they correlate well with inexperienced users who install a large number of plugins. If you’re installing plugins which are processor-intensive or add database queries or HTTP requests to your site, they’re probably going to drag down your site’s performance. If the plugin is adding tons of new scripts and requests, it’s always going to result in at least some hit to your site’s performance. Install enough of those plugins and your site’s gonna grind to a halt. Plugin vulnerabilities are one of the common ways for hackers to get into your site. Just 3 major plugins (which also happen to be the plugins bundled with many ThemeForest themes) accounted for a huge chunk of hacked WordPress sites according to Sucuri. So each time you install a new plugin, you might just be buying an entry ticket to the plugin vulnerability lottery. Ever installed a new plugin and had it break one of your existing plugins? I know I have. Each time you add a new plugin, you’re increasing the chance of that happening (even if it’s only ever-so-slightly higher). This is kind of a throw-in – but have you ever seen those admin menus which are packed to the gills? I can’t imagine working in that WordPress dashboard. Maybe it’s the minimalist in me, but I like my workspaces simple! Of course, you can always use something like Admin Menu Tweaker to get some control over your admin menu. Then you should probably think long and hard about whether you actually need that plugin. Because if you add too many of those plugins, you will slow your site down. There are some plugins, Broken Link Checker for instance, which people install without a second thought. Those are the plugins you need to watch out for! Database queries out the whazoo. On the other hand, if you’re installing a plugin that’s just adding a bit of static code or tweaking something minor, you should be safe (as long as it’s coded properly). Some people, myself included, even recommend creating custom plugins to add code snippets instead of always using functions.php. Obviously, a plugin that only adds a sole code snippet is not likely to hurt your site. To figure out which of your plugins are causing the largest hit, you can use P3 (Plugin Performance Profiler). You can also go the manual route and deactivate all of your plugins. Then, slowly reactivate them one by one to find out which are slowing down your site. And finally, you can also check out what types of requests your plugins are making by using the Network tab of Chrome Developer Tools. So, is there such a thing as “too many WordPress plugins”? Not in a perfect world. But in the real world, I bet that if you install plugins willy-nilly, you’ll increase your chance of encountering performance or security issues. That’s why I still think that the idea of running as few plugins as possible is a good one to propagate throughout the WordPress ecosystem. We need to remember that WordPress users are not always tech-savvy. Beginners don’t know how to analyze HTTP requests and database queries – so telling them that they need to use as few plugins as possible is a good way to minimize the issues they encounter, even if it’s not 100% “true”. But it’s by no means an unbreakable rule. As long as you look at what the plugins you add are actually doing, you don’t need to worry about passing some arbitrary maximum for the number of plugins on your site. Now I want to hear your thoughts – how many plugins do you have installed on your site? Don’t be shy! Let’s see who has the highest number. Thank you for this post. In regards to the P3 plugin, which I’ve used in the past and loved, it hasn’t been updated in two years. I haven’t been recommending it lately, still looking for an alternative. Do you know of any other plugin that is similar to P3? Hey Deborah. I share your concerns, but it’s still working fine for me despite no updates and I don’t know of anything else that does the same thing, unfortunately. If anyone else does, I’d love to hear. Our blog, PagePipe, has 42-active plugins and loads in under 1 second on good days. :) Hosted on slow, cheap, magnetic, shared hosting. We share our server with 24 other domains. No caching. No CDN. We wanted to prove a point. PS- Uninstall P3 Plugin Performance Profiler after testing. It causes global site drag. The irony. Yep, you don’t want to add just any plugin for the sake that you can. Just make sure you test and find what works best. I have had up to 65 plugins and now run about 48. They all serve a purpose..
As someone told me years ago, a core WP lead, quality over quantity every time. And that has stayed with me. We found P3 is very helpful when analyzing plugins for performance. Query Monitor is also a good tool doing that. It’s more important to find which plugin cause your website slow rather than reducing the number of them. Thanks for sharing Justin. I’ll give Query Monitor a look. Query Monitor is one of the BEST ;) and it works with plugins that extend “debug bar” flawless! Just a great Tool in your Belt! That’s a few different votes for Query Monitor now. Will definitely start using it. This is a great article, I just want to point out regarding the top 3 plugins in WordPress being vulnerable. It’s important to point out, as mentioned in the report that all three plugins had fixes available for a substantial amount of time, but the site owners hadn’t updated the plugin. This can come from laziness, ignorance or in some cases, expiring licenses which no longer receive updates. This wasn’t the point of your article, just throwing it out there since it was mentioned. It’s just a reminder how important it is to review plugins you use, and look at things like resources, but also make sure to keep your site and plugins are always up to date, and if a plugin isn’t being actively developed, it’s time to look for an alternative, and quick. Don’t leave those WP notifications hanging! Also, subscribe to newsletters like securi and wordfence so you’ll be the first to know when something bad is afoot. Great stuff, keep up the good content. Good point, Dan! I didn’t mean to rag on those plugins specifically. They’re prone to lack of updates because of how much they’re bundled with TF stuff. I have 16 plugins at the moment and all serve a purpose. I’m sure I will add new plugins in the near future. My goal is to keep it below 20. I agree with stated above. It doesn’t matter if you have plenty of plugins if they are coded following standards. But I still like to keep number of installed and activated plugins low as it decreases chance of plugin conflicts and makes debugging way easier. I have used way too many plugins in the past but now i’m leaning towards less crowded dashboards and a simple cleaner approach. If it’s a plugin that doesn’t get used much it gets deleted. :) Great article! I run several multisite networks with over 600 plugins available on the network and various combinations of those plugins are configured on subsites across the networks. Many of the subsites on the networks may have 150 to 225 plugins active on them. The 600 plugins I’ve selected from the thousands tested over the years co-exist well and do not interfere with each other. Most are well maintained, updated frequently and have active support which speaks highly of their developers. When I encounter a plugin that immediately causes issues upon activation on a network running 600 favorite plugins, it is usually abandoned immediately and another plugin with similar features is given a go. The rationale is that when a new plugin is activated and a conflict occurs within the community of other plugins, typically the community is not the problem, rather it is most likely the newbie. I diligently report all issues encountered on any plugin that I test. Submitting support tickets also reveals the developer’s responsiveness and perhaps if they fix a reported issue, then their plugin may become a welcome new neighbor in our community of 600 “go to” plugins that all seem to like each other across 100’s of different sites and themes. Plugins whose developers do not respond are generally retired and replaced. Of course to identify 600 plugins that peacefully coexist on the same network, hundreds of plugins have been culled that did not play well within the community of other plugins. Plugin updates are conducted almost daily and WP major releases adopted within 2 weeks of being available. Occasionally updates break things that worked before and then finding the culprit among them can be a daunting endeavor. The typical troubleshooting advice of “deactivate all your plugins and activate them one-by-one” is not a feasible approach with this many plugins on multisite networks with 50 to 100 sites each, so I use some alternate – and unconventional – troubleshooting methods that generally identify the culprit out of 600 plugins fairly quickly. Do 600 plugins slow down a network? Inevitably. As discussed in the article, some plugins are “heavier” than others and the burden they place on a site and/or network must be evaluated one-by-one. Depending on the purpose of a multisite nework, the inevitable slowdown may not matter. Can you run 600 plugins on a $3 a month shared server? Doesn’t updating 600 plugins take a lot of time? The time consumed depends on how you schedule and manage updates. Keeping the peace among 600 plugins in no small feat and most ask why even do it? I thought I used a lot of plugins until I read Plugin Jinkie above. :). With over 500 plugins and usually 90-100 active at any given time, we are prone to the inevitable conflict. We simply could not run all these sites and plugins without the deployment of the plugin Plugin Organizer. Free in the repo, and over 10k installs, it is actively developed and of incredible benefit to our sites. The ability to selectively activate and or load plugins is critical to resolving all the conflicts that result from running that many plugins. Just a FWIW and a shoutout to the plugin. It may help others like it helped us. Thanks for the suggestion, Mitch! If I ever break the three-digit mark I’ll check it out. 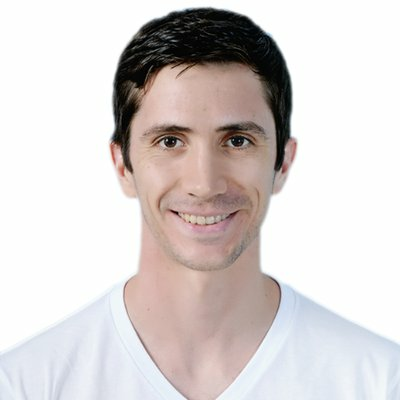 What methods are among developers to test performance of a plugin (database query’s, http requests) ? A combination of Query Monitor plugin and Chrome Developer Tool’s network tab should be able to cover database queries and http requests. I’m setting up a new site and started with over a hundred plugins to get the functionality I wanted. Now I’m whittling that down to a set of Requirements versus Desires, and things I want now versus things I might want when I get a RAM upgrade. Plugin incompatibility and duplication is a huge issue. Poor quality, decreasing support, and rather frequent replacement is another issue. On-topic with this post, you have too many plugins when you can’t keep up with all the problems. But as to performance, yeah, I also desperately want to find a good tool to evaluate specific code modules. Most of the performance articles we see talk about “too much code” on the server, or optimization (cache, compression, requests) between server and client. A less-discussed topic is memory usage, which is a primary unit of measure for which we pay for our hosting services. And it’s extremely difficult to get information about CPU usage on a per-module/function/plugin basis. More plugins save more data in memory. You’re far more likely to run out of memory before you run out of processing power … well, on a shared host anyway. So the issue isn’t the number of plugins or even how bloated one plugin is, it’s what they do with your resources in terms of the bulk of in-memory data and also the processing time associated with manipulating that data. Here’s another way of looking at this. Let’s say the WP Core has 1 million lines of code. You add ten plugins of 100k each for a total of 2 million lines. Now scale down the ten plugins to five, cuz you’re being a good admin and five is just too much. On your next update of the core you might get another million lines of code. (Exaggeration to emphasize the point.) Now you’re feeling good about running with half as many plugins but you have more code running on your system. You can’t fault the number of plugins. It’s the total “weight” of your environment that determines your performance. Here’s yet another way of looking at it. There is no difference between a Core feature that registers a content type, and a plugin that does the same. Consider a plugin for WPv3 that registers types or handles hooks. Now WPv4 includes that functionality. It’s illogical to think that eliminating that plugin is going to make our system any more lean – because (relatively) the same code is still being executed on every page cycle. The focus shouldn’t be on plugins – that’s like blaming “acid rock” for violent teen behavior. There’s more to it than this simplistic “too many plugins” topic that is constantly bantered about. The problem is not quantity of plugins. It’s how much code you’re actually processing per transaction (not just the size of the code modules). It’s how much data you’re pulling into RAM. It’s the efficiency of what you’re doing with the code (including loops, queries, array handling, etc). And now with PHP7 optimization, a key factor is simply the version of the language that you’re running. These are all factors that most WP admins cannot evaluate with the tools available today, despite how critically important they apparently are to all of us. With all of the attention to the number of plugins, I’m hoping to see more attention to how we can get these other metrics and refocus how we approach performance evaluation and enhancement. Awesome post, Tony. I couldn’t agree more. I use in average twenty to forty plugins on my sites, all of them for a particular purpose. Now and then I come across issues with certain plugins, once I discover the culprits I remove them and look for alternatives. I think the advice of quality over quantity is a sound one. And only keep plugins that you need for a specific purpose. It is very important to update all plugins whenever a new version comes out and delete all unused plugins.